ONLINE REGISTRATION IS CLOSED. WALK-IN REGISTRANTS WELCOME. PLEASE CONTACT JEN BROWN IN ADVANCE VIA EMAIL OR CALLING 717-713-9522. In observance of Women's History Month, we are pleased to welcome Ms. Emily Harman, director for the Department of the Navy Office of Small Business Programs, as our featured speaker! 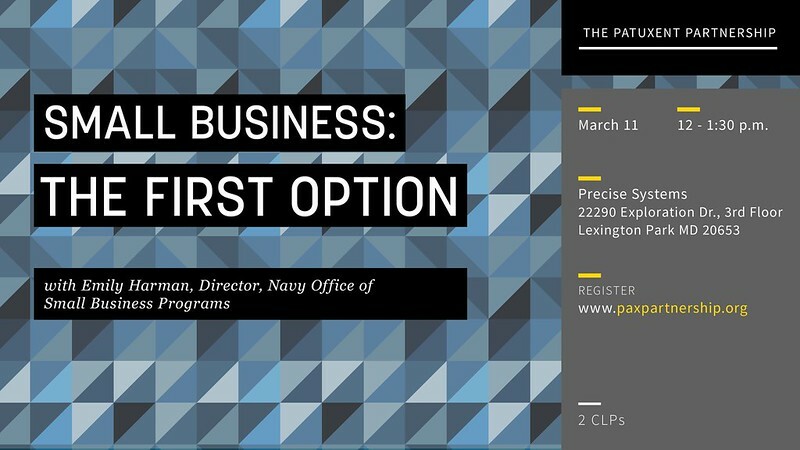 Bring your lunch and join us on March 11 to hear Ms. Harman highlight how women-owned small businesses are contributing to mission success for the Navy and Marine Corps, and the biggest challenges in the coming years. Thank you to Precise Systems, Inc. for supporting this program! Check-in will begin at 11:30am. Attendees are welcome to bring lunch. TPP will provide water and cookies.